PLDT together with Smart Communications offers new DSL and mobile internet packages, where your home DSL's data allocation can be shared to a smartphone on a Smart postpaid sim. PLDT and Smart Communications, the country’s leading telecommunications and digital services providers, have come together to offer the Philippines’ first data plan that enables subscribers to a home DSL service to share their data allocation with mobile phones of their family. Under its new Speedster Fam Plan 1299, PLDT HOME DSL offers five times faster speeds of up to 10 megabits per second (Mbps) and a monthly data allocation of 50 gigabytes (GB). Moreover, subscribers who upgrade their Speedster Plan with a Smart mobile plan 399 or plan 600 can share 6 GB of the 50 GB monthly data allocation to their mobile phone lines which they can use even outside the home. Customers may get up to four Smart mobile phone lines bundled with their Speedster Fam Plan all conveniently billed under one subscription. According to PLDT and Smart EVP and Consumer Business Group Head Ariel P. Fermin, this new service takes off from the Filipino value of sharing. “Sharing is at the core of every Filipino family. We share everything, from food to stories, and memories, and now, data connectivity,” he said. PLDT HOME’s launch of the new Speedster Fam Plan 1299 comes at the heels of its groundbreaking partnerships last year that enriched the digital lifestyles of its over 70 million subscribers combined. For world-class entertainment content, the two industry leaders teamed up with iflix and Fox International Channels as well as with online business game changers Uber, Zalora, foodpanda and AirBnB to complement the lifestyle needs of their subscribers. PLDT HOME also launched the country’s first 1Gbps plan and partnered with technology leaders Intel and Microsoft to level up the pioneering over-the-top device TVolution Stick. The PLDT Group’s robust and resilient fixed and wireless networks, with the country’s most extensive fiber optic footprint that spans over 100,000 kilometers, enables PLDT HOME and Smart to offer reliable broadband services that power Filipinos’ connected homes and digital lifestyles. 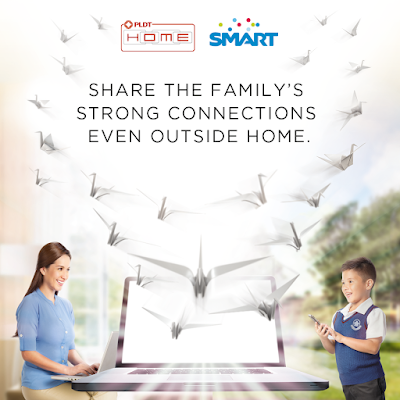 For more information, log on to www.pldthome.com.